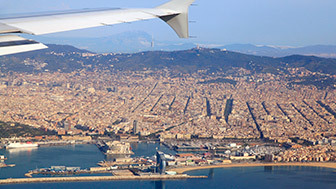 The Sants-Montjuïc district descends from the mountain and spreads over the plain to the sea, offering a journey through the history of a commercial and tireless Barcelona, where the entertainment in its neighbourhoods is one more tradition. 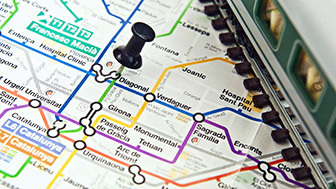 Sants-Montjuïc, the city's southernmost district and one of its most emblematic, is shaped by sea, mountain and history. The natural places that embrace it, neighbourhood markets, lively squares, a huge variety of theatres, museums and sports facilities have turned it into the middle class favourite for shopping and having fun. Watched over by the imposing Montjuïc, one of their main attractions, the seven neighbourhoods making up the district extend to the foot of the mountain, into the plain and down towards the sea along Paral·lel, a tireless avenue that stays a wake day and night. 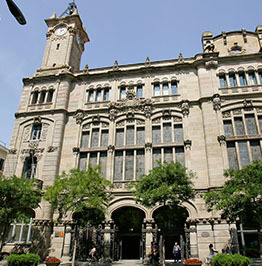 The district's origins lie in the old, independent municipality of Santa Maria de Sants, which was annexed by Barcelona in 1897. Over the course of the 20th century, this was added to by La Bordeta, Hostafrancs, Sants-Badal, Montjuïc, with the Font de la Guatlla neighbourhood that grew up around the 1929 International Exposition, Poble-sec and La Marina, to form the district as we know it today. This big expanse reveals the variety of Sants-Montjuïc's seven neighbourhoods, each with its own identity, and explains the many stages the city has gone through. 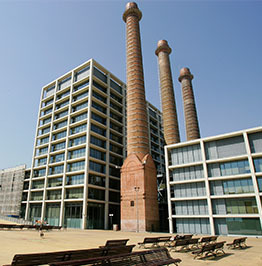 As industrial areas, the Marina and Bordeta neighbourhoods continue to show the city's more working-class face, with old factories and housing for workers and the middle class. This is where you find Can Batlló, the old factory that marked neighbourhood life and which has now been turned into a social and cultural centre. The foot of the mountain gives rise to the colourful neighbourhood of Poble-sec, which is made of small streets, a whole host of cultures and a good many bars and cafés that are an absolute delight for having a beer and a bite at. 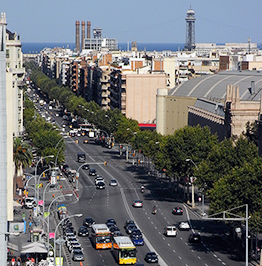 Avinguda del Paral·lel, which separates Sants-Montjuïc from the Eixample and Ciutat Vella, is one of the city's most dynamic arteries, which still maintains its tradition of fun and entertainment, with its theatres, bars, discos and so on. Legendary, century-old theatres like the Molino and the Apol·lo, still standing and stronger than ever. 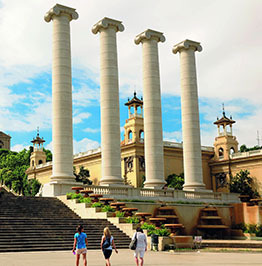 The entertainment, the cultural and sports facilities, together with the natural space of Parc de Montjuïc, represent one of the city's most important historical legacies. And through its neighbourhoods, Sants-Montjuïc shows one of Barcelona's more popular and cheerful sides. The Palau Nacional that dominates Montjuïc is the seat of the Museu Nacional d’Art de Catalunya (MNAC) which, among other things, keeps an impressive collection of Romanesque paintings. 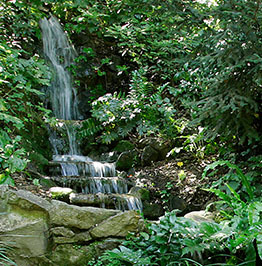 Montjuïc's large, natural park is the best site for enjoying nature and culture together, as it is full of splendid gardens and cultural facilities. The Sants and Hostafrancs neighbourhoods, with their busy commercial life, village atmosphere and family ambience, share an industrial past that can still be felt on its streets. 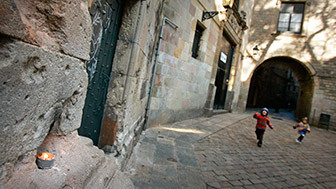 Opened up towards the end of the 19th century between Sants and the port, and heir to the new trends that came from everywhere, Paral·lel has historically been the city's leisure and entertainment avenue. 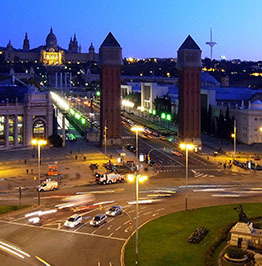 At the foot of Montjuïc you will find the iconic Plaça d’Espanya, which serves as an intersection for Avinguda del Paral·lel, the Gran Via and Avinguda Maria Cristina, plus Carrer de Tarragona and Carrer de la Creu Coberta.